This lovely peach bow is one of our full sized bows and is perfect as a top knot on Pixie and Roxy. 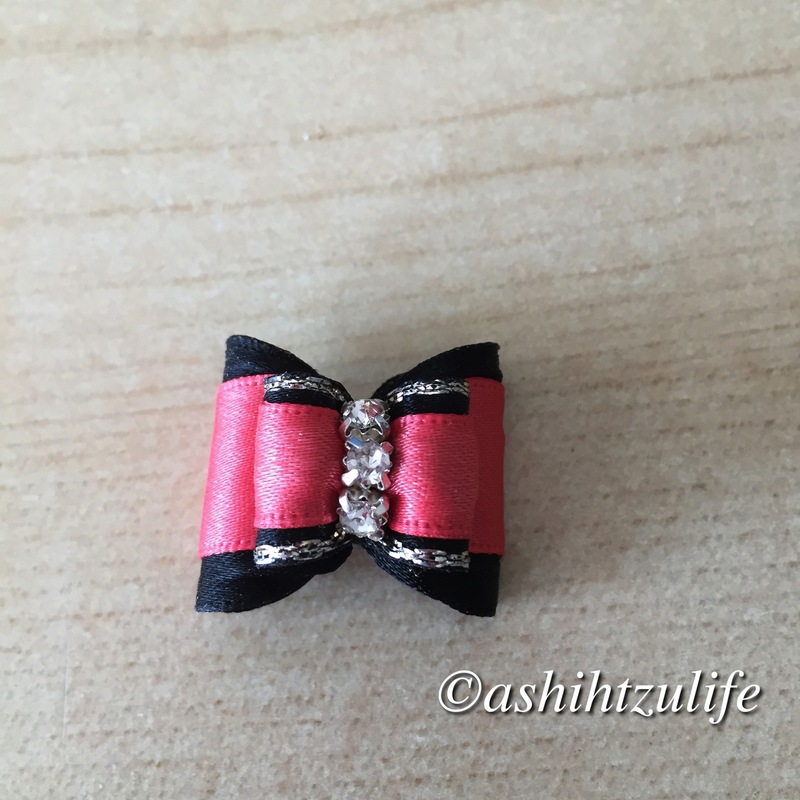 This style of bow can be made in more colours. We are excited to try out new colours. 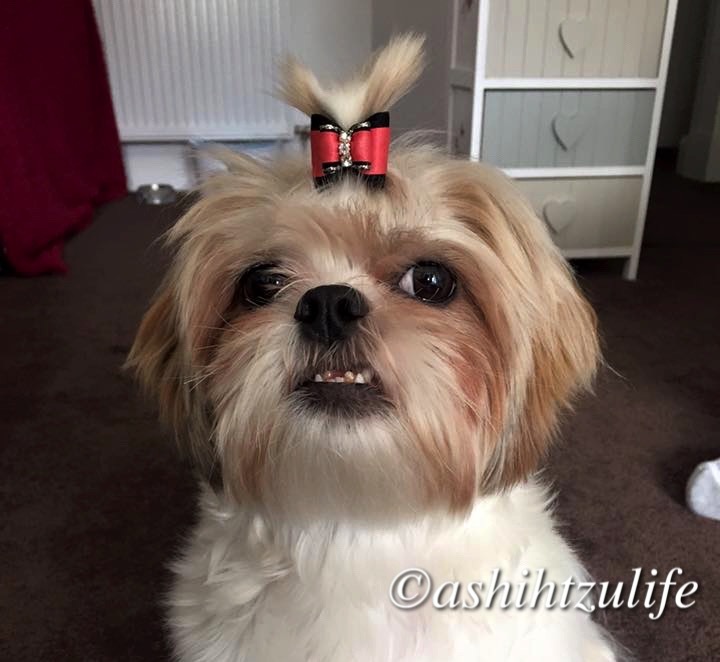 Here is Roxy trying this bow.